The most important philosopher ever to write in English, David Hume, the last of the great triumvirate of �British empiricists,� was also well-known in his own time as an historian and essayist. A master stylist in any genre, Hume's major philosophical works � A Treatise of Human Nature (1739-1740), the Enquiries concerning Human Understanding (1748) and concerning the Principles of Morals (1751), as well as the posthumously published Dialogues concerning Natural Religion (1779) � remain widely and deeply influential. Although many of Hume's contemporaries denounced his writings as works of scepticism and atheism, his influence is evident in the moral philosophy and economic writings of his close friend Adam Smith. Hume also awakened Immanuel Kant from his �dogmatic slumbers� and �caused the scales to fall� from Jeremy Bentham's eyes. Charles Darwin counted Hume as a central influence, as did �Darwin's bulldog,� Thomas Henry Huxley. The diverse directions in which these writers took what they gleaned from reading Hume reflect not only the richness of their sources but also the wide range of his empiricism. 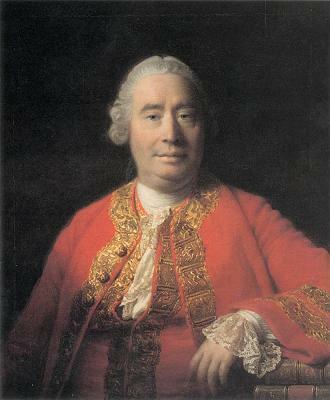 Today, philosophers recognize Hume as a precursor of contemporary cognitive science, as well as one of the most thoroughgoing exponents of philosophical naturalism.